This entry was posted in iPhoneography, Photo Challenge, Wordless Wednesday and tagged iPhone 5, iPhoneography, North Georgia, Photography, Wordless Wednesday. beautiful for the view – and the lines have such harmony – the wave from the front tree horizontal has a syncing flow with the wave of the back mountains and then maybe even the sky has some flow too – great photo – is this GA? What a beautiful shot. Very well done. Great photo. The snow lies like wool on the trees, so beautiful. Even if it is already January, I wish you a happy and healthy new year, dear Linda. That’s a gorgeous picture! I hope your new year is off to a good start, Linda. That is great. I’d love to live in a place that feels like that. Thanks! 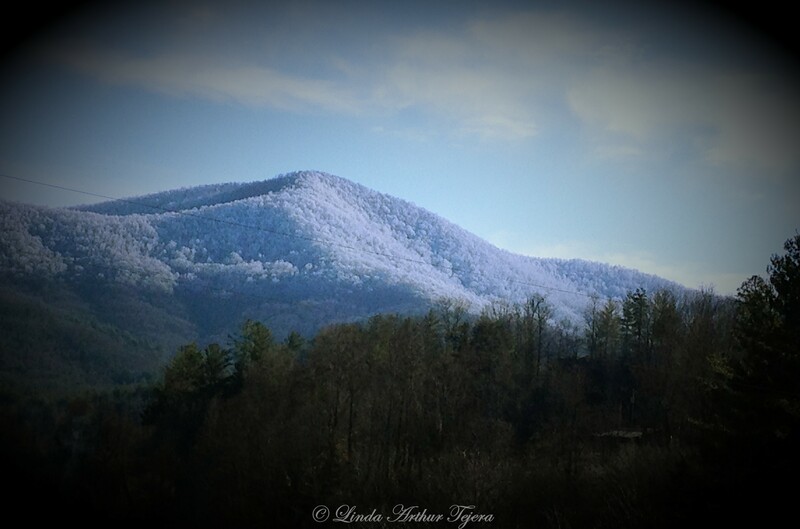 It is beautiful here in the Blue Ridge Mountains! Thanks, Issy! Even though I complain about the cold snap, I am truly blessed to be living in this beautiful area! Is that snow on the mountain? Makes it look like it’s covered in fluffy bits of cottonballs. Cool.